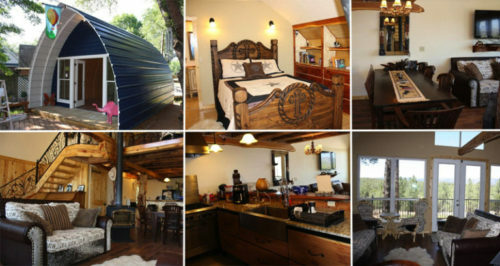 What do you think of arched cabin? They have a kind of outdoorsy feel, don’t they, even compared with prefab buildings. These things remind me of ski lodges and summer cabins by the ocean. Take a look at the photo — don’t you agree? Because they’re made of metal — metal buildings are another thing we’ve been looking at lately on here — you don’t have as much of a worry with fires, or rot for that matter. You can build these on the ground on a concrete foundation or pier and beam, or you can build them on a basement or even up elevated above the ground many feet, against a tree like a treehouse or freestanding. 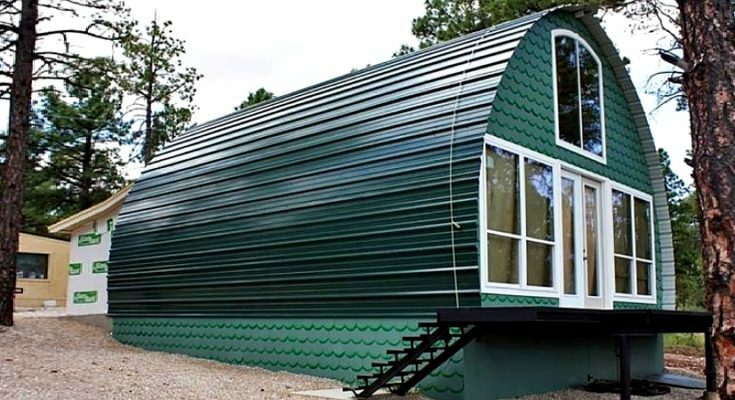 The company that we found building these arched cabins is called just that: “Arched Cabins.” They’re based out of Cypress, Texas, and that’s important, because their delivery fees are based on the miles from area code 77429. Between two and two and a half dollars per mile one way depending on the size of the arched cabin being shipped. 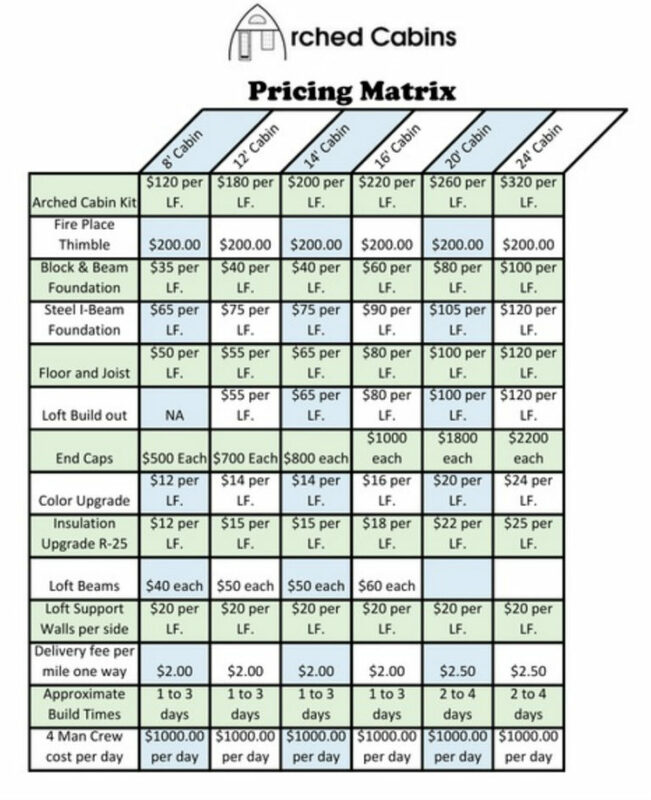 There’s a price chart for the costs involved, and assembly is estimated at around 4 days for a 24 by 40 foot cabin. If you need their skilled workers to assemble it for you, that’s another 4 days of labor at a grand per day. So unless you’re going to build one that big, if you had a crew you could probably get it up between Friday and Monday morning, or if not, maybe a long weekend. Anyway, not a huge long job like it would be to build something like this from timber from scratch. Anyway, an interesting idea that’s working for some people, so worth comparing to the other options we’ve talked about on here for inexpensive housing, like prefab houses, modular houses, and tiny houses. For more from Arched Cabins, find them in the Building Homes and Living directory. Click here for price chart.